Born in Rio de Janeiro, Brazil, I started playing acoustic guitar (violao) at the age of 8 years old, influenced by my older brother who played the guitar and helped me with my first chords. I have also been influenced by the music of bossa- nova giants at the time such as Joao Gilberto, Tom Jobim, Carlos Lyra, Joao Donato, Marcus Valle and many more. Growing up in Rio in the 60’s and 70’s has contributed tremendously to the energy, groove and rhythms reflected in my music today. Moving to New York in the 80’s has motivated me to, not only continuing playing the guitar, but to further enhance my knowledge of music and the guitar itself, hence I started to study with some of the jazz greats including Chuck Wayne, Sal Salvador, Alex Adrian, Hui Cox and Joe Carter. Since the beginning of the 90’s I have been travelling the world, playing with different bands and at various venues in many different countries in Europe, Africa and elsewhere. 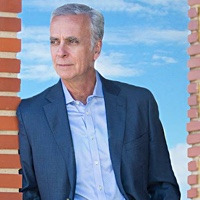 In the United States, some of the names I have shared music with includes, Gil Goldsten, Cidinho Teixeira, Leco Reis, Luis Ebert, Claudia Villela, Adriano Santos, Helio Alves, Nilson Matta, Mauricio Zottarelli, Lonnie Plaxico, Duduka da Fonseca, Olivia Foschi, Lucila Novaes, Alex Sipiagin, Greg Skaff and many others. I was also a member of the United Nations Jazz band for over 15 years and performed in various venues in New York City. While living in The Netherlands from 2003 until 2011, I have played with some of the top local musicians including pianist Ferial Karamat and singer Arno Kolenbrander in which I have arranged and recorded some of his music as well as participated in various radio programs in Amsterdam. Together with other friend/musicians I founded the jazz/Brazilian/funk band named “Malandros”. In Spain, I have been presenting my latest work 'Swingando' with great success at venues such as the Madrid International Jazz Festival, Sala Clamores (Madrid), Sala Matisse (Valencia), Moe Jazz Club (Madrid), El Plaza Jazz Club (Madrid), Cafe Mercedes Jazz (Valencia), Sala Matisse (Valencia), La Fabrica de Hielo (Valencia) and Jimmy Glass Jazz Club (Valencia). In the form of Sextet, Quintet and at times trio, I have worked with some of the greatest musicians in Europe such as Viktorija Pilatovic, Veronica Ferreiro, Dayan Adab Garcia, Ariel Ramirez, Roque Martinez, Luis Guerra, Voro Garcia, Baptiste Bailly, Ivan Ruiz Machado, Alex Cesarini, Mariano Steimberg, Georvis Pico, Alexey Leon, Perico Sambeat, Kiki Ferrer, Diego Ebeler, Juan San Martin and Jose San Martin . Studying with Brazilian guitarist Marcus Teixeira has further broadened my understanding of harmony, improvisation and skills required to be a better composer, songwriter, arranger and guitarist. Brazilian music and jazz has been my passion throughout my life, and now I am able to express it in my albums ‘Swingando' and 'Nu Brasil' (ZM201808). These albums brings all of the emotions, energy and dynamics of growing up in Rio, living around the globe and being in touch with my culture throughout my life. 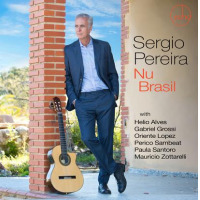 My latest album 'Nu Brasil', released by ZOHO Music of NYC, includes some of the most well know musicians in the world, such as pianist Helio Alves, flutist Oriente Lopez, harmonica player ace Gabriel Grossi, saxophonist Perico Sambeat, singer Paula Santoro, guitarist Marcus Texeira, to name a few. 'Nu Brasil' has been recognised by the Recording Academy and placed in the ballot for the 1st round of the 61st Grammy Awards in the category of Best Latin Jazz Album. All About Jazz musician pages are maintained by musicians, publicists and trusted members like you. Interested? 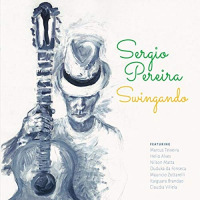 Tell us why you would like to improve the Sergio Pereira musician page.